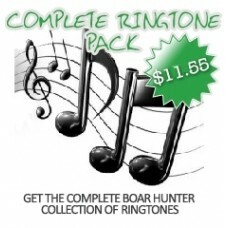 The ringtone samples below are only a portion of the actual ringtones. Actual ringtones are each approx. 30 seconds long. # Pay once - play forever!! Bloom Brothers Mobile Phone Ringtone downloads are copyrighted and use must be private only, no posting on forums or websites. To get your Bloom Brothers Mobile Phone Ringtone, simply add this product to your shopping cart, complete your checkout, ensuring your email address is valid, and we will deliver immediately on successful payment. 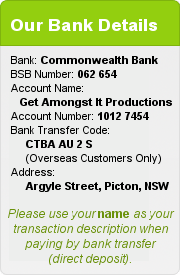 Upon confirmation of sale, your email details are submitted to Bloom Brothers for Ringtone delivery via email which you can then download directly to your phone using your phone software file transfer process.